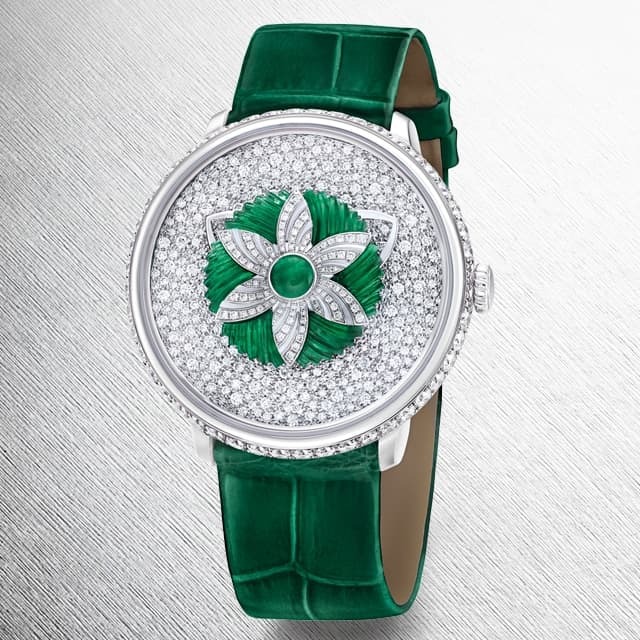 Having a penchant for gemstones, Fabergé debuts an exquisite 1-carat diamond timepiece titled ‘The Dalliance GemAddict.’ As the Russian bespoke luxury-makers break the mould with their new timepiece, The Dalliance GemAddict timepiece has a diamond at the centre of its dial, making it one of just a few watches in the world to boast a gem so large. Fabergé is working with gemstone miner Gemfields to use responsibly sourced rubies from Mozambique and emeralds from Zambia. The indulgence Fabergé provides with the Dalliance GemAddict is purely bespoke and will be globally initiated this month. Enriched with 18-Gold, Ruby enamelling and a clear-cut 1-carat diamond. 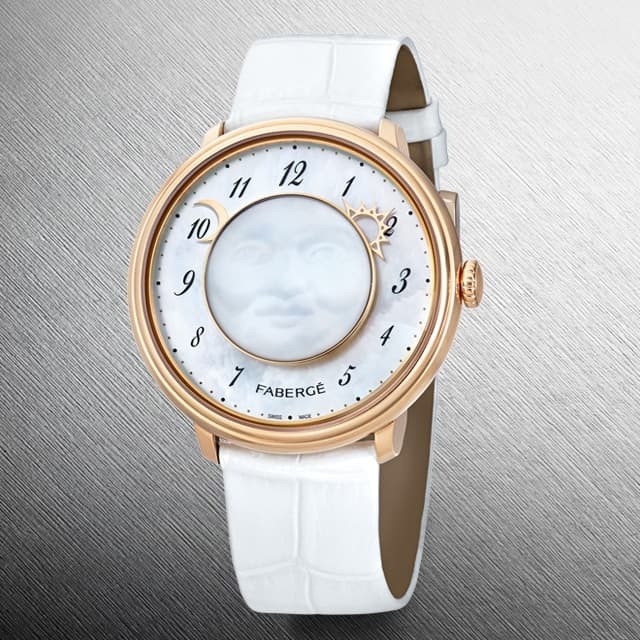 Besides its central grand-piece, the dial has also been enriched with smothered with 180 invisibly set baguette-cut diamonds, weighing more than 4cts. 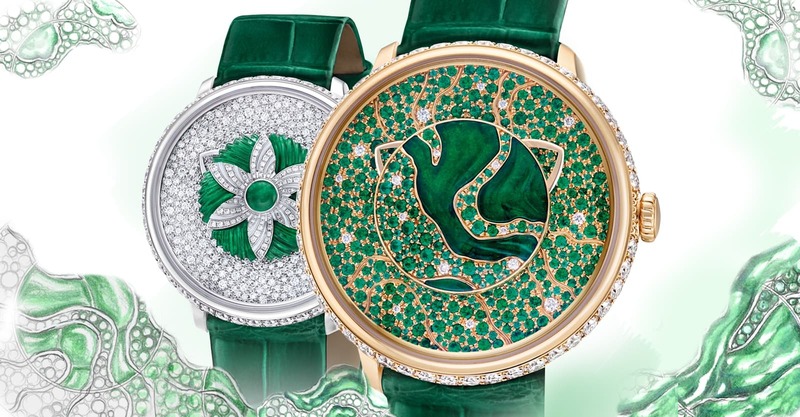 While the diamond resides upon a ruby enamel, Fabergé confirms that the centrepiece can be customised or variated with emerald treatments. This feast of gems is completed with an 18-carat rose gold bezel. 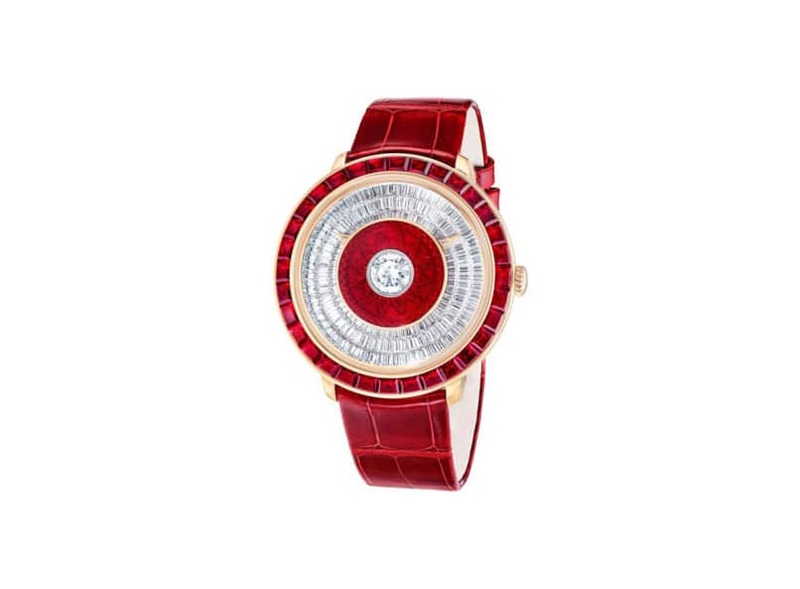 In this version, it has been adorned with 32 trapeze-cut Gem-fields rubies, weighing 6.6-carats, to complement the decorated red Grand Feu enamel disc at the centre of the dial. 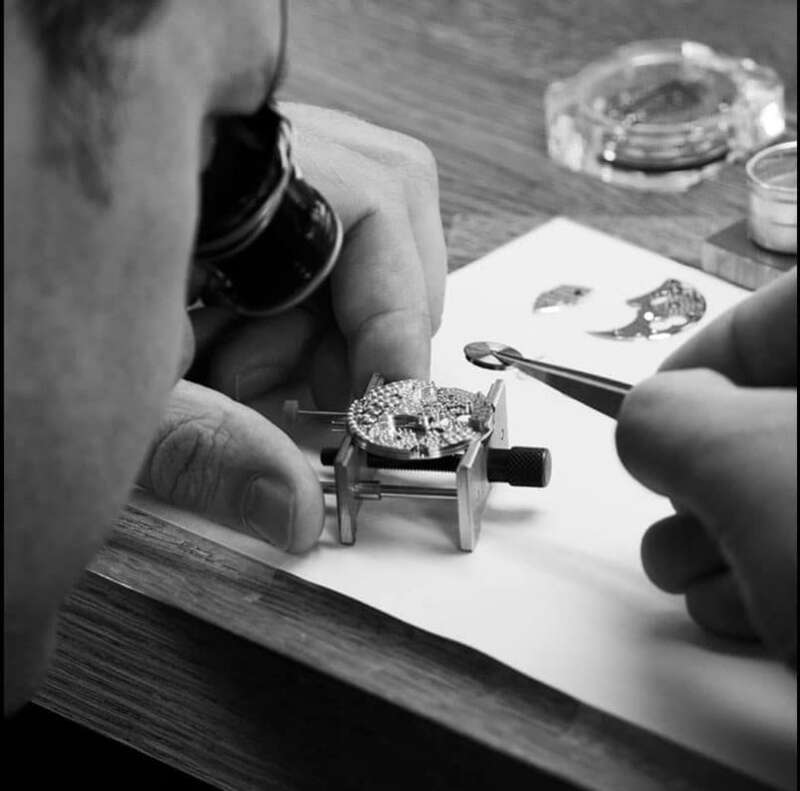 The making of a Fabergé bespoke timepiece. The timepiece is manually wound with a 6911 Caliber that runs a 50-hour power reserve. The domed sapphire crystal and case back with anti-reflective treatment, keep up with the rest of the allure. Price will be dependent on the bespoke indulgence.